It’s hard to solve a problem you don’t know exists. Solutions become unreachable if you don’t know the root of the issue or the source it stemmed from in the first place. The same concept applies to the sales and BDC operations inside every existing dealership. Too often, we get caught up in the day-to-day routine and can only see what’s directly in front of our eyes. We lose sight of the big picture. We look to our CRM and DMS data to identify areas of success and failure. We then use that data to attempt to make decisions and changes to the way we operate. The problem, is that this data is one-sided, one-dimensional, and only one piece of a much larger picture. It’s a lot like attempting to run a race with your eyes closed. Without the power of sight, you won’t know if your opponents are in front of you or gaining speed behind you. You won’t be able to see the finish line. What’s the point of running towards a goal you can’t see? In order to solve the problems within your sales operations, you need the power of sight, metaphorically. You need to be able to look at your entire market from a 360-degree vantage point so that you can identify sales trends along with the sources of your greatest opportunities and losses. Sales and service data, believe it or not is the key to being able to see your market from an omnipotent perspective. It’s just a matter of where you get the data and how you use it. Ninety-day old sales metrics can be helpful, but in order to truly see what’s going on within your PMA, dealers need to know what sold and didn’t sell as of yesterday – not 90-days ago given the infinite variables that affect this industry on a daily basis. To most of us, data is just a collection of numbers, charts, and graphs that lack meaning. But what if you had the ability to detonate and mobilize data to make it work for you? That’s when data becomes valuable – when you can turn it into actions that result in more sold cars and less lost opportunities. If you only draw conclusions based on your CRM’s sales and lead data, you can only quantify the effectiveness of your own sales. But it’s equally important to have the ability to identify defection trends to competing dealerships or brands in your market. How many of your customers purchased from somewhere else? Which dealers are you losing the most sales to? How many customers did you lose over a certain date range? Which competitors did you lose them to? How many units per day are you losing to a specific store? Can you pinpoint areas of lost sales tied to a specific salesperson or lead source? When you have the ability to answer these types of questions, then and only then do you have what you need to take control of your marketing and sales processes. If you want to successfully grow your market share and cut your losses, you have to know exactly what you’re losing, where you’re losing, and who you’re losing to. The right data, will show you a clear snapshot of which models on your lot present the highest level of opportunity. It will show you which leads in your CRM have already purchased so you don’t waste time and money trying to reach people no longer in market for a car. The right data will determine if you are losing sales based on internal or external factors. 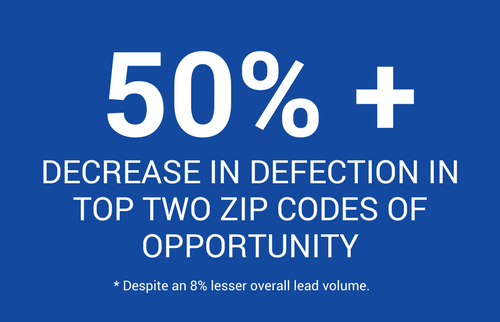 It will show you the top 10 zip codes where you’re losing the most sales. It will show you by name which members of your sales and BDC staff have the highest closing rates, as well as who is allowing the most opportunities to fall through the cracks. It will empower you to make better decisions with staffing, training and employee responsibilities based on a more thorough analysis of your business. From my years of experience as the General Manager of a dealership and as the CMO of a large dealer group, I am very aware of the fact that dealers are not data scientists, nor should they ever be expected to be. Your only job is to sell cars and to reduce the rate of lost sales to the competition. But you can’t stop losing sales if you don’t have the near-real time data to expose why you lost them in the first place. And it’s not only about having access to the fastest data or the best data – that’s only half the battle. 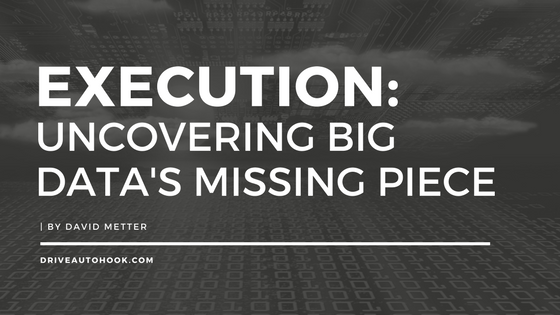 It’s also about working with the people that know how to extract the most impactful, actionable pieces of that data and that possess the technology needed to execute a strategy that results in fewer losses and more incremental gains. My session, “The Uncut Story Your CRM Can’t Tell You” at Digital Dealer 23, will provide dealers with never before seen visibility into their market conditions so that missed opportunities can be turned into closed sales. 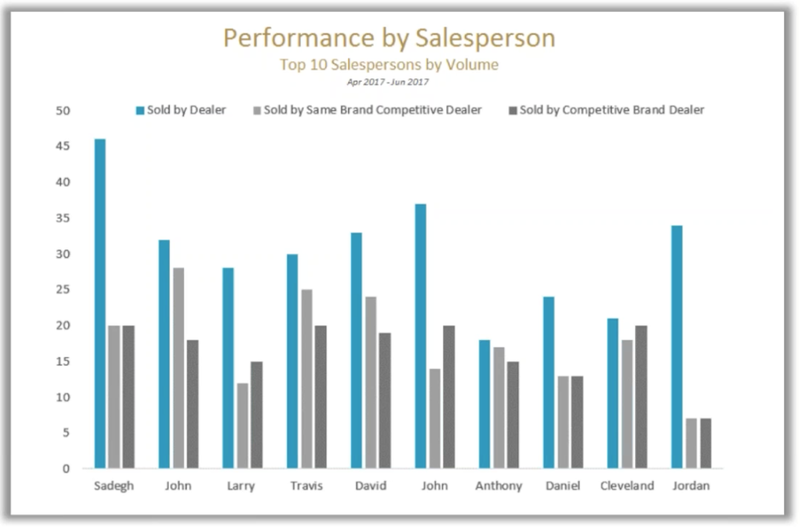 Identify defection trends even down to your individual salespeople that are in your showroom. Know more about what’s going on in your dealership and the dealerships around you. ***Article originally posted on DigitalDealer.com.